Powerful Cylinder Kit by the Spanish manufacturer Airsal with 150cc engine capacity. 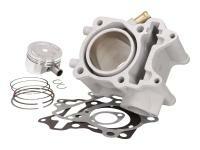 Includes all required mounting parts as gaskets, pistons, piston rings. The Spanish brand delivers cylinders in aluminum construction with an extremely hard chrome-plated coating, which has a much better heat dissipation compared to cast iron. Thus, the cylinders are less susceptible to wear and piston seizure due to temperature problems. The 150cc improves the low-down grunt of the engine. This cylinder kit can be installed without any further adjustment measures. Especially suitable for the water-cooled 125cc Honda 4-stroke engines built in 2013. 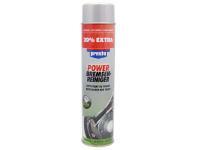 In 150cc models, this kit can be used as a replacement cylinder.